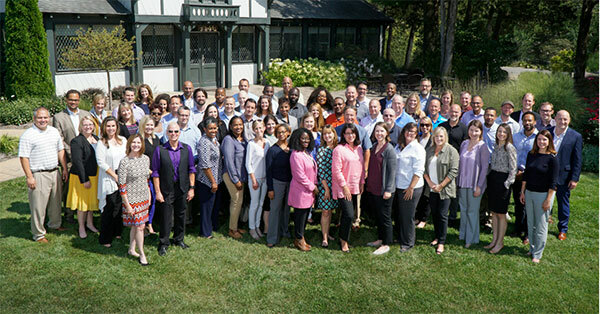 FOCUS St. Louis has selected 67 outstanding individuals from the private, public and nonprofit sectors for the 42nd Leadership St. Louis (LSL) class. These participants join a prestigious group of more than 2,000 leaders who have graduated from the LSL program since its inception in 1976. Leadership St. Louis is a highly respected program for emerging and established leaders who have demonstrated a deep commitment to improving the St. Louis region. The 18-day, 9-month curriculum explores such issues as economic development, racial equity, education, poverty and social services, arts and culture, and the criminal justice system. Participants visit key sites in the bi-state region, engage in face-to-face dialogue with regional decision makers and gain a deeper understanding of leadership approaches that produce results. “We are excited to welcome this talented and diverse group of participants into Leadership St. Louis. Over the next year, they will experience this region in new ways and gain knowledge, skills and connections they can use to make a difference within it,” said Yemi Akande-Bartsch, Ph.D., President & CEO of FOCUS St. Louis and Director of the Leadership St. Louis program. Leadership St. Louis is one of seven leadership programs offered by FOCUS St. Louis to achieve its mission of preparing diverse leaders to work cooperatively for a thriving St. Louis region.